Revere, MA CBRE/New England sold Ocean 650, a 230-unit, Class A apartment community located directly on Revere Beach. CBRE/NE exclusively represented the seller, a fund advised by TA Realty, and procured the buyer, a fund advised by Greystar. CBRE/NE’s multi-housing experts Simon Butler, vice chairman, and Biria St. John, vice chairman, exclusively represented the seller. Ocean 650 opened in April 2017 and leased up in nine months. The community consists of a single podium building with five stories of residential living over a two-story amenity space and garage. The unit mix is comprised of 43 studios, 112 one-bedroom apartments, 20 one-bedroom plus den apartments and 55 two-bedroom two-bath apartments, with an overall average unit size of approximately 763 s/f. Community amenities include two elevated courtyards as well as a resort-style pool deck, fire pit lounge area, grilling area and roof deck. Interior amenities include a grand first-floor entry with lounge area and leasing offices, which leads to a second-floor amenity space. This second floor offers numerous work spaces with TV and WiFi, a resident lounge with kitchen and dining room, media and conference room, and a fitness center with spin and yoga studio. The community is located less than 0.25 miles from the MBTA Wonderland T Station. “We are pleased to have facilitated this transaction on behalf of TA Realty who saw the vision for the revitalization of Revere Beach. 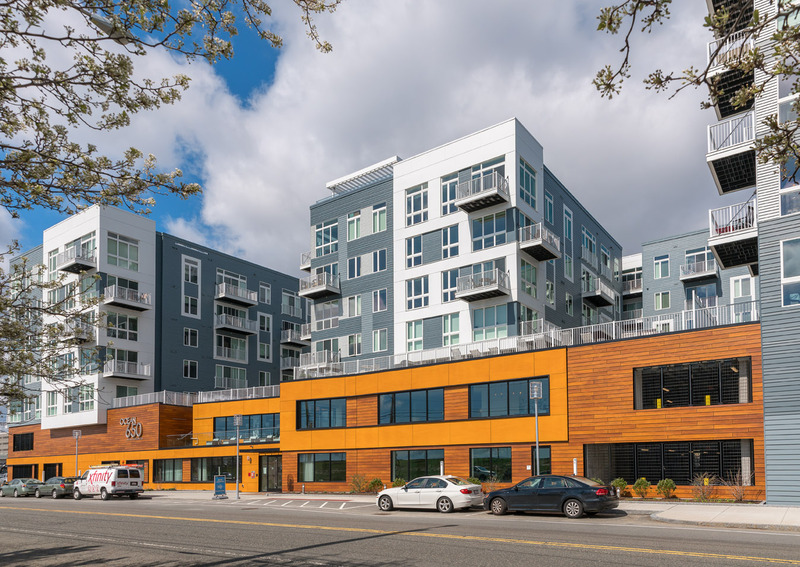 Ocean 650 is an exceptionally well-executed development and has played a key role in the redefining of Revere Beach as a top rental option in Boston,” said CBRE/NE’s Butler.